Looking to transfer your Domains and/or Hosting to us? Great! We’re happy to assist and may be able to perform the transfer for you at no cost with minimal or zero downtime of your website and email. But first, we’ll need some details. At the very least, you will need access to manage your domain as part of the transfer process requires updating the Name Servers. If you choose to do so, we can transfer the Domain Name/s to our Management Console in order to simplify ongoing support. If you’re unsure which provider your Domain Name/s currently reside with, search https://ausregistry.com.au/whois and look for the Registrar Name. 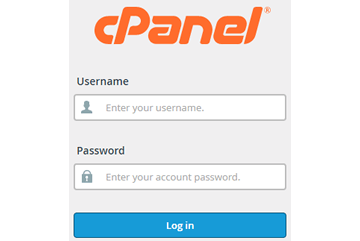 The most common hosting control panel used is cPanel – you may recognise the login screen to the right. This login is often used to create web applications and upload/download files via FTP. We will use this login to perform an online migration from your existing provider to us. Let us know if you have any other services attached! E.g. You may use Office365 or Google Apps for Email, you may have additional Domain Names attached to your Website or you may have a pointer called remote.yourdomain.com.au which is used for Staff Remote Access to your business. Once you’re ready, Contact Us to discuss your requirements and begin the transfer! See our Hosting Plans here.